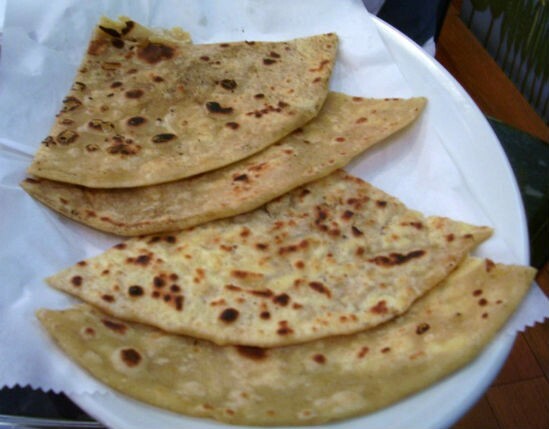 A popular Punjabi paratha stuffed with paneer. Best served with curd and pickle. 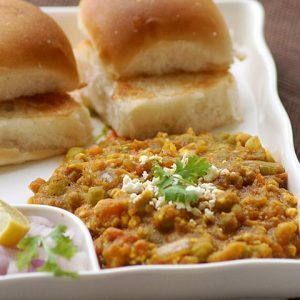 Quick and easy to make, it makes for a delicious lunch or dinner. 1. Combine the wheat flour, maida, salt and ghee in a bowl. 2. Knead well to a thick, pliable dough. 4. Saute the onions for 2 minutes. 5. Add the paneer and stir well. 6. After a minute, add coconut, garam masala powder, turmeric powder, coriander leaves, green chilli paste and salt. 7. Stir-fry for a minute or two. 8. Make small balls of the dough and shape them into small cups. 9. Add 1 or 2 tsp of the paneer mixture and fold well. 10. Roll them into small/medium parathas. 12. Cook the prepared parathas on both sides and remove. 13. Serve hot with curd and pickle. Feel free to comment or share your thoughts on this Paneer Paratha Recipe from Awesome Cuisine.